Since 2005, Dynamic Forge & Fittings (I) P. Limited has manufactured flange, elbow, tee, reduction, reducers, caps, cross, stubend / lapjoint, forged fitting materials for oil and natural gas pipelines, refinery and petro chemistry facilities, nuclear power and electricity production plants, refinement and extrication plants, dams and hydroelectric power plants and shipbuilding industry. Manufacturing activity continues in 12,000 square meter open area 4,000 square meter factory and administrative building area. 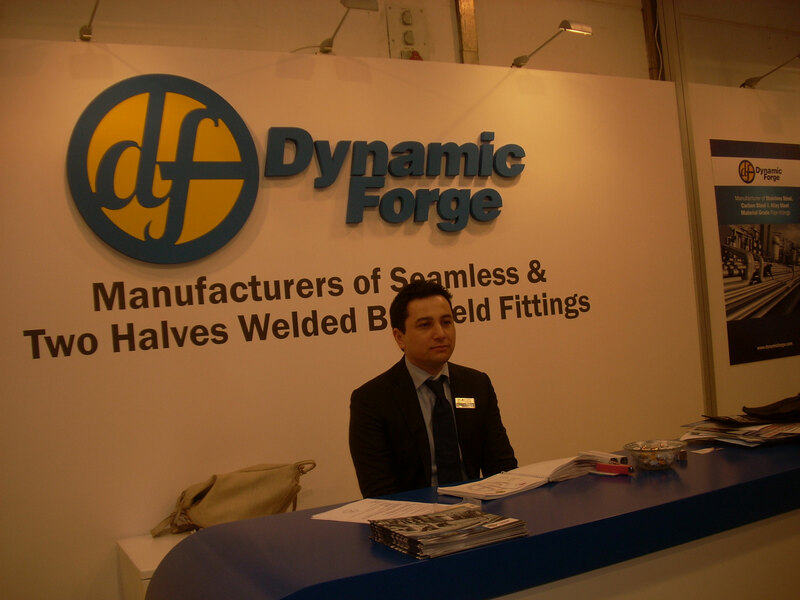 Dynamic Forge & Fittings (I) P. Limited has a capacity of fulfilling all the demands of the sector through the manufacture of carbon steel, stainless steel, alloy steel, high nickel alloys, inconel, monel, alloy 20, copper nickel and specific steel groups. The capacity of 4.000 tons / year, Dynamic Forge & Fittings (I) P. Limited has % 40 export rates and Dynamic Forge & Fittings’ direct and regular exporting includes 66 countries. As a manufacturer company, Dynamic Forge & Fittings (I) P. Limited owns the documents of CE, PED, AD2000, EN 3834, ISO 9001, ISO 14001 and OHSAS 18001. Dynamic Forge & Fittings (I) P. Limited gives test certificate, which are compliant to EN 10204 3,1B and contains physical and chemical testing. Dynamic Forge & Fittings (I) P. Limited is the certified supplier of BVIS , IBR, BARC, DNV, BHEL, SABIC (SAUDI ARABIA), KNPC (KUWAIT), QATARGAS (QATAR), SAUDI ELECTRICITY COMPANY (SAUDI ARABIA), MARAFIQ (SAUDI ARABIA), ONGC (INDIA), INDIAN OIL (INDIA), MAGNETROL (BELGIUM), SIPCHEM (SAUDI ARABIA), VAN LEEUWEN (EUROPE), FOSTER WHEELER LTD (SWITZERLAND) AND TD WILLIAMSON (SINGAPORE). To develop a professional business affiliation by rendering excellent quality of product and services for long term. To strive most reliable position in the field of manufacturing of piping components and technology support partner for industrial projects and requirements throughout the India & other part of world. Appropriate usage of resources to achieve optimum results, which assist in the economy growth of company and the country. To exceed customer expectations by continuously delivering them the most relevant & Quality products within the required time frame and best in class services. Ensure all the activities of firm rendered with Socially Responsible Manner. Maintain tremendous quality in overall operations, acknowledging the customer needs along with International Standards. DYNAMIC FORGE designs certain strategies to achieve sustained national and International Optimum Quality Standards, in line with Customer’s quality standards to meets customer’s expectations. DYNAMIC FORGE is committed to maintain consecutive developments for Quality Management in order to ensure its adequacy. Dynamic Forge upholds quality credentials and implements necessary, regular training and instructions to its employees, everlasting improvements of Quality Management System via routine audits and reviews. Our Target is Zero Incidents at all the premises where we work for. We act in fully responsible way to ensure safety of all the people and resources working even alongside with us. Our Aim to achieve accident free atmosphere at work place, we put our best concentration to ensure the safety of the concern workforce engaged and the resources applicable.